where i sell all my handmade goodies! sewing stars says - freeze your fabric? It's too funny ! 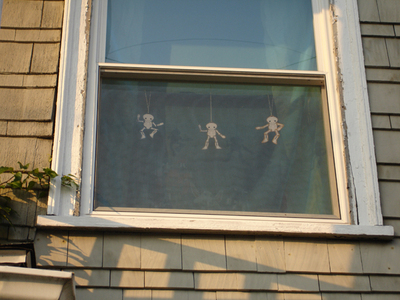 Good idea for windows decoration. are you still doing the update today? otherwise, i don't think it'll be here in time for halloween. I love it! Just the project I need for my windows, thank you! Thank you so much for sharing! I've made one this morning, and have promised my son I'd make another just for him, since he liked it so much. Thanks for sharing this cutie. I'll put a link on my blog . that guy is so cute! Thanks so much - he's adorable! So very cute - and something I can do with my little guys! Thanks so much for sharing. I made one last night and my daughter said, "oohh who's that guy?" this morning (she's 2.5 yrs). It is so fun and cute. I used a pin to poke the holes for the brads and that worked great. I hope you put up other patterns! I appreciate your sharing this cute project! I read about it on Whipup. I just got this linked from goodyblog.com. Thanks so much. I am going to laminate these tomorrow and hang them up! These are so cute. You made my son's day! Awesome! I can definatly use this for my spanish project, thanks site owner! This is great! 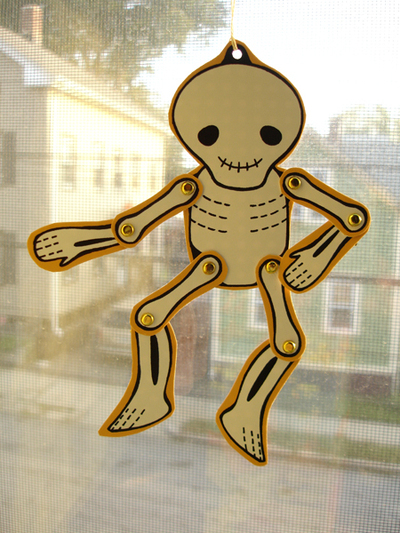 We will be making some to adorn our windows, since I can't find any cheapy halloween vinyl clings. These are much cuter anyway! To make an airplane contrail, you need water and some kind of microscopic particle for the water to condense around. Your essay’s momentum is magnificent, statements are sophisticated. I can’t believe that when writing your hobby along. I'm a terrible procrastinator too, it makes for a lot of half finished and not started projects. I hope you finish your dress top half - the colours go so well together. Have a productive weekend! Incoming Cyber-Monday update... Next week! shop update and other updates, too! Sewing Stars 2.0 is a go!